Knowing which programs and initiatives your campus wants you to focus on shouldn’t be guesswork. But how do you give a voice to students, faculty, and staff, as well as inform them of campus trends over time? Qualtrics gives you a dashboard chock-full of both automated and customizable visualizations of your data, which can be easily shared through our permission- and role-based platform. The Qualtrics dashboard enables more users to easily build visualizations and analyze data. Qualtrics also allows your university to stay on top of hot-button issues through topic analysis and written feedback. You’ll be able to efficiently reach and follow up with everyone across campus via one platform that connects to the solution that meets your specific needs. Supported by the most robust campus-wide research platform in the world, you’ll be able to understand how to make every interaction more insightful and efficient—from admissions to alumni outreach. Students and faculty aren’t your only areas of focus—engaging alumni is just as critical to your university’s success. Qualtrics enables you to manage respondent groups, prospective students, and alumni by building a comprehensive directory of your organization’s respondents. You can also manage global opt-out lists and contact frequency—increasing response rates and reducing survey fatigue. On top of that, Qualtrics integrates seamlessly with Salesforce and other CRM systems to maximize what you know about alumni and keep your touchpoints automatically in sync. 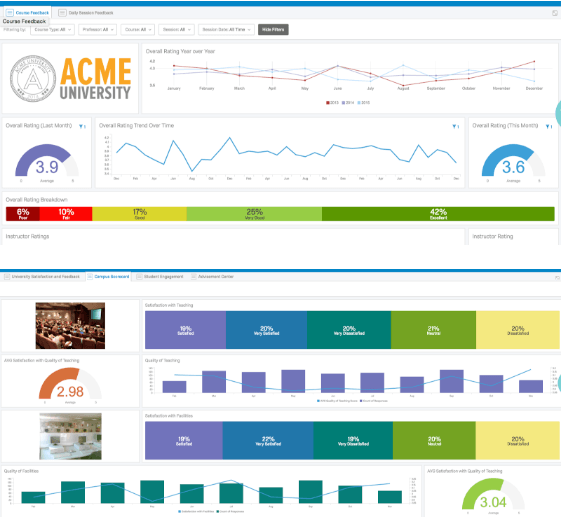 Maximizing your university’s online presence is one of your most crucial marketing activities. 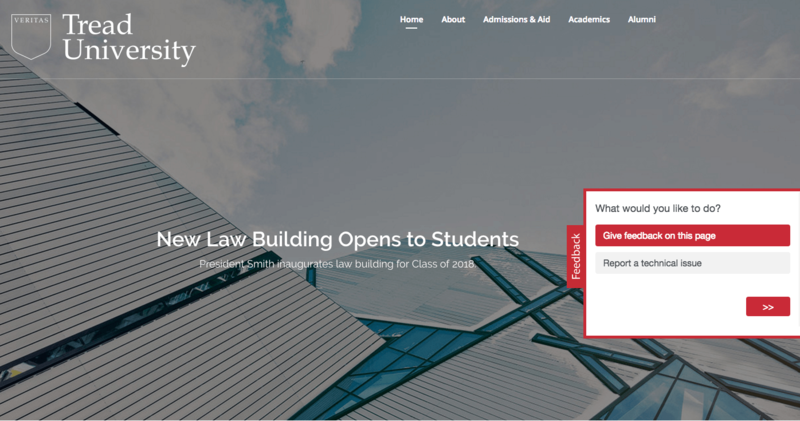 After all, the first interaction a potential student has with your university likely occurs on your website—wouldn’t you like to make a good first impression? Qualtrics helps you optimize your website to drive enrollment and boost lead conversion. You’ll be able to engage visitors with powerful surveys that provide the feedback you need to connect visitors with the right content, and improve the overall user experience of your website.